There are so many clues that entrepreneurs can take from casinos about starting and running a profitable business. Looking at them, it is obvious that they are carefully crafted to ensure maximum profit by enticing and offering first-class services to customers. As such, it’s often difficult to find a similar degree of customer loyalty to any business as seen in the casino line of business. Moreover, the attention to detail and the simple set of systems for performing a variety of tasks simultaneously as made this savvy industry a role model to others. So, if you are on the edge of embarking on the lonely road to entrepreneurial glory or you are involved in product development and business consultancy, here are some useful tips to take from the casinos. Casinos don’t believe in the minimal approach. Instead, they prefer to give their customers as many options to spend their money as possible, hence the reason for all the different games. From the slot machines to the table games, casinos want to attract all types of gamblers, even when you use an online gambling platform. The fact is that people like to have choices and options, which is a tip you can take to the bank. Because the more options you can offer your client, the less likely they are to browse what the competition has to offer. People don’t realize that casinos will go to great lengths if it means they can make more money. 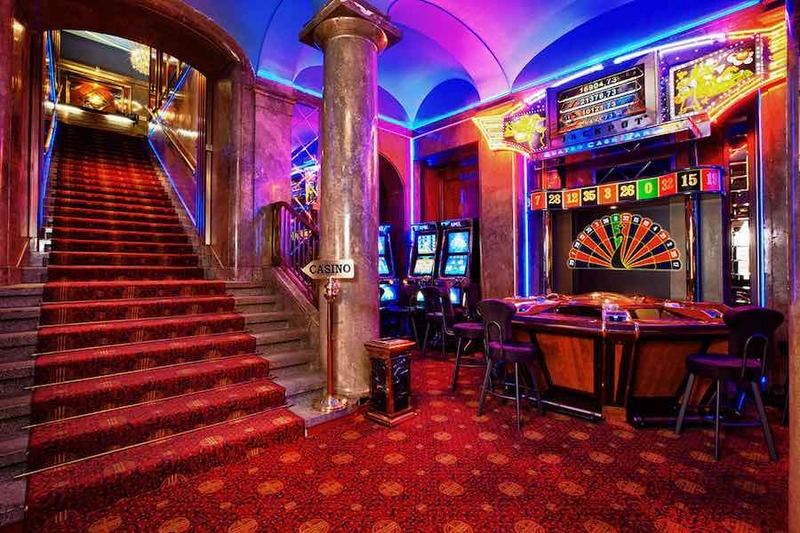 For example, the layout of a casino will be thought out in such a way that clients spend money even as they leave the casino. Also, you might warm up with a few slot machines before trying some poker. While you play, you might have a drink and relax a little more. After you finish playing, you walk over to the restaurant that’s only 10 feet away, and it smells absolutely delicious. And after eating a hearty meal, you figure you should probably go home. But then you see the shows getting ready to kick-start the evening. Do you notice how the casino will get its money back even after you win at the tables? Once you step into a casino, you are blocked out from the world. Instead, you are submerged in bright lights, constant sounds of people “winning”, and a ceiling that has been painted to represent the most perfect blue sky. Under these conditions, it becomes very easy to start spending money. If you have an online business and you find this part challenging, play around with bright visuals and contrasting colors. Plus, you want to add sounds that stimulate your clients. The ultimate purpose of a casino is to get players at the tables and in front of the slot machines. And they will use several different in-house marketing tactics to get your money in their bank accounts. But the point is that they always focus on one thing – getting clients to spend money. First off, you want your clients to spend as much time and money with your business as possible. But you also want them to come back and bring their friends with them. This means having plenty of staff to do so – casinos take a lot of workers to keep them going and this is partially why. Now, you won’t find a clock in a casino, or a window to the outside world for that matter. This is because they want you to lose time and forget about what’s happening outside. All that should matter to their clients once they step inside, is keeping them there.